Cait's Cozy Corner : The 3 Instagram Secrets To Help Grow Your Gram! 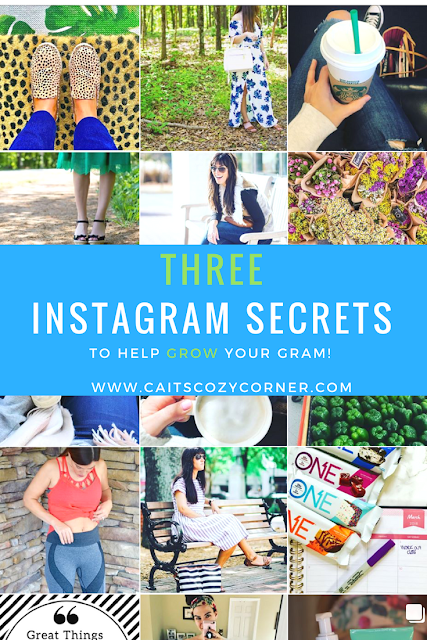 The 3 Instagram Secrets To Help Grow Your Gram! Oh Instagram. I have such a love hate relationship with you. To some, you may think that having over 10,000 followers is a huge milestone,( plus questions to ask ) and yes it certainly is. But I've been barely budging from my current number of followers for months. I couldn't understand why I kept loosing followers. Why I kept getting a few but then loosing more? What was going on? I suddenly realized I needed to change a few thins to get my media to grow, and grow and organic as possible too might I add. Of course the occasional giveaways are always fun but you want a strong media presence because of the people that you are engaging, interacting and connecting with. That's truly half the battle and also why I love posting on social media..to connect! Alright so let's grab that cup of coffee and start sharing 3 of my helpful social media secrets to help you grow your Instagram! What are some secrets you have? You're so right about the Facebook groups. I got a lot of followers, genuine ones, there. I am so behind! I just joined Insta this week! Still figuring it out as well. Love these tips! It can be easy to forget that Instagram is a place to engage with other people. I'm guilty of doing this, but all I had to do was remember this. It is kind of sad to see how the algorithm is affecting a lot of people these days too. These are great tips! I've been dealing with the same thing where I feel like I'm just staying with the same number of follows and it's been so weird! I still have to dig in a bit more, but I'll have to try some of your suggestions and see if that helps. Instagram is a beautiful frustrating wonderful place. You can grow awesome relationships and get interaction from adults which is lovely. I struggle to grow but I totally agree with all of these points- when I engage, I see much more engaged followers. I always struggle to stick to a feed for my instagram account. These are some great tips. 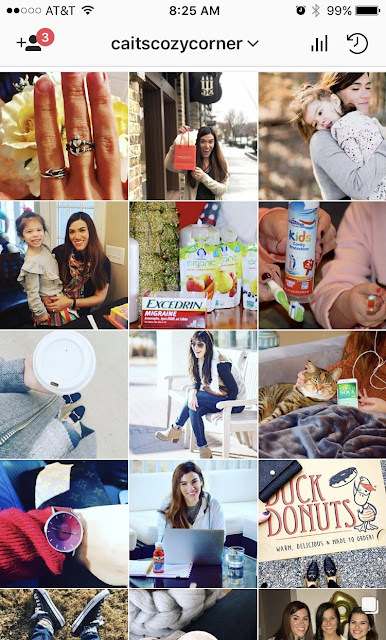 Good content, organized feed and great photo editing skills are a plus! Great blog and tips. Thanks for sharing ♥️ ♥️ By any chance you are interested on doing collaborations, you can check out the collaborations portal of Phlanx.com and connect with amazing brands! I love that these tips are based off of your own experience. I've found FB groups really helpful for me as well! I'll have to try your other tips too. As much as I love Facebook and how easy we can get a following through groups, I'd very much love to improve my Instagram. Thanks for sharing these helpful tips! Okay I totally have to figure out how to share/repost. I'm failing huge in that area! These are great tips, definitely agree with being consistent! I need to get better at that! Consistency is always the biggest factor - you have to do you and give your audience what they love to find a good balance. I've had a hard time growing Instagram. I've tried quote post which work okay, but these are some great tips to hopefully jumpstart it! Great tips that I'm going to use. My Instagram has been struggling lately so this was super helpful. Helpful tips..Instagram is kind of frustrating but I do try to get on it. Hashtags! They helped me grow so much. I know I really such at consistency. I love taking photos, but I can't handle posting them consistently, apparently. I haven't reached the "fans" stage, so I'll have to wait for that step. Thanks for the tips, these are so helpful! In the wake of perusing this, only one things to state. Out of this world.